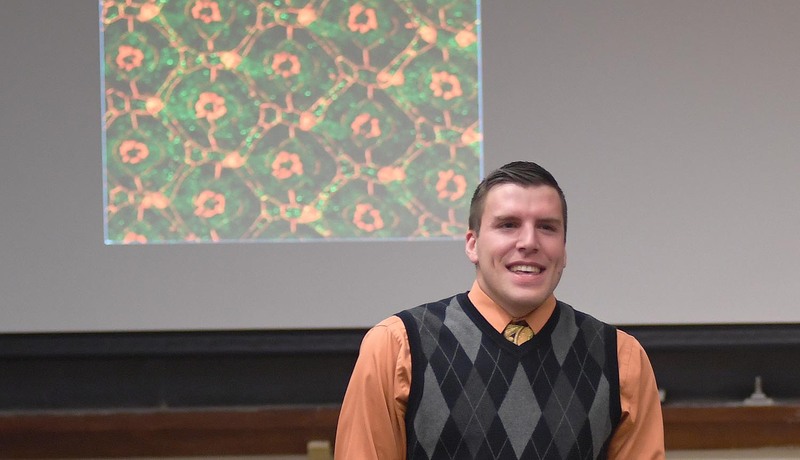 On Oct. 31, Miles DeAngelis, a PhD candidate in biology, presented a graduate speaker series talk titled, “The Hippo Signaling Pathway acts as a novel regulator of morphogenesis.” DeAngelis’s advisor is Associate Professor of Biology Ruth Johnson, associate professor, integrative sciences. 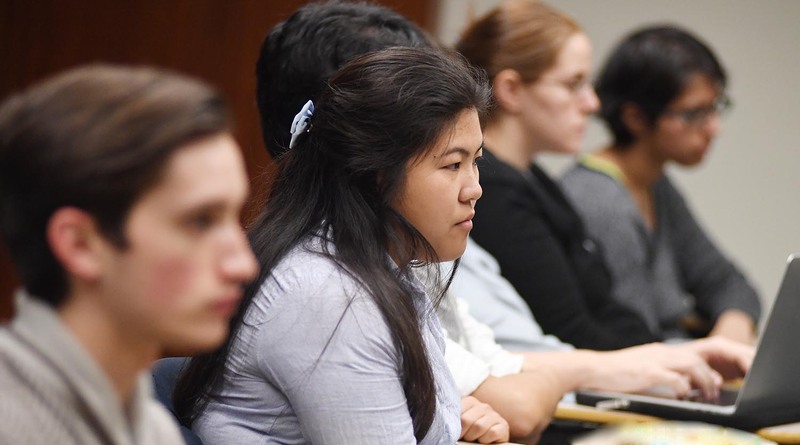 The field of morphogenesis aims to understand the biological processes that tell tissues how to organize into their life-supporting shapes. The Hippo signaling pathway is just one of these many processes. In the past, this pathway was thought to only regulate tissue size. 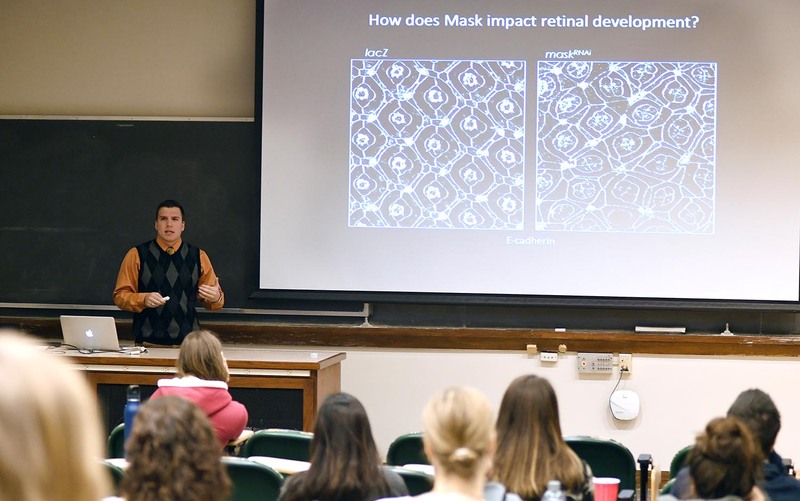 DeAngelis’s work with Drosophila fruit flies suggests that in addition to regulating tissue size, the Hippo signaling pathway also regulates the patterning of pupal retina.